Money is a measure of so many things. Certainly wealth in the pure financial sense, but also commitment, responsibility, meaning, love. Money itself is abstract while being concrete. We can hold a dollar in our hand, but it’s only a piece of paper. The reason it has any value at all is because we choose to believe that it’s backed by the power of the USA (whatever that really means these days). It used to be backed by gold, but that was a long time ago and even then, banks worked on margins and the paper was rarely ever backed up by what most thought it was. Money is the currency by which society has decided to trade goods and services. It fits better in your pocket than a chicken and doesn’t have to be eaten before it spoils. 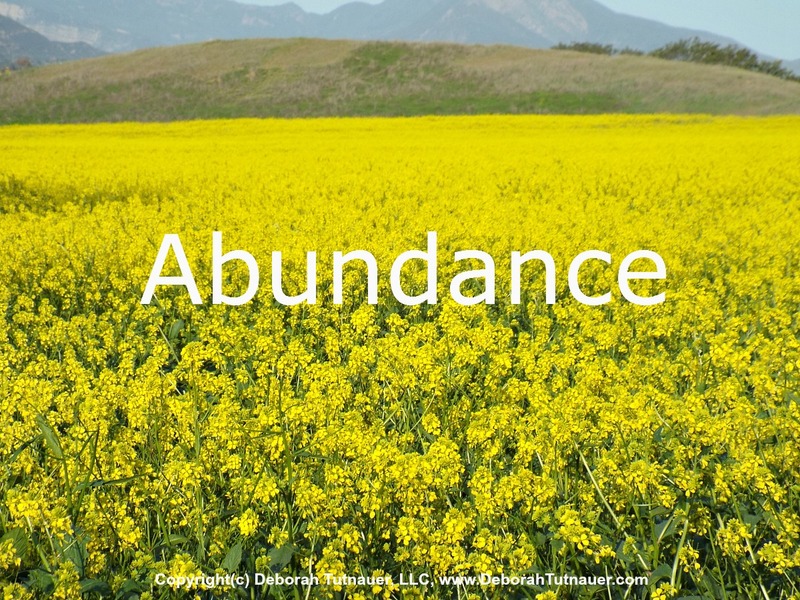 Abundance and Money are NOT the same, though many who struggle with both imagine they are. 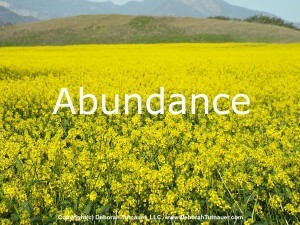 Abundance is an attitude. Money is a thing. Money flows, expands and contracts to fill the space. Except for those who are truly destitute, there is not as much “I can’t afford it” as there is “I’m not willing to sacrifice for it”. Recently I’ve been having this conversation with a friend who runs a school. Private schools cost money. Parents have to decide if what they pay is worth what they receive for their children. The fees must support the institution, which in the case of private schools often runs relatively bare bones and near the red. Tuition goes up to pay for reality. Parents freak out about being unable to afford and how it’s unfair. Money is meaning and commitment in action and is never more evident than when one must make a choice between this and that. School or a vacation. Education or recreation. The grownup reality is that sometimes you must choose. Abundance Attitude says that you choose like a responsible adult and then you believe with all your heart that there is enough and then you get your you-know-what in gear and work to make it so. I’d say this post today is somewhat of a rant. Success is standing tall for what you believe in, committing even when it’s hard and being willing to believe in the abundance of the universe while working for what you desire. Continue to conversation with Deborah Tutnauer Here.